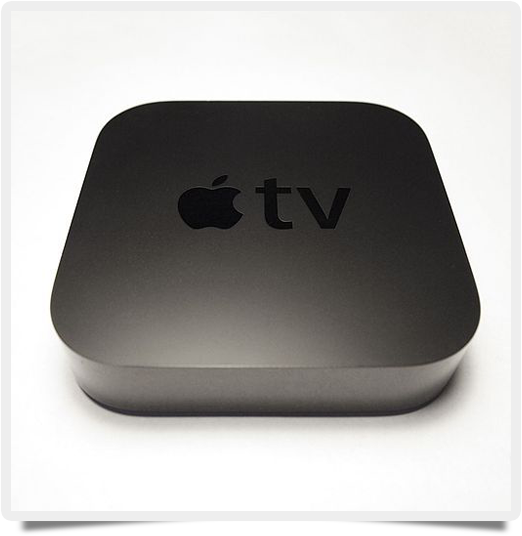 Some interesting new Apple TV apps are included with the latest 6.0 update of the Cupertino, CA, company’s streaming TV service, which hit the Internet on September 20, 2013. Current users of the service should be pleased with the new offerings. If you were considering checking out Apple TV, maybe these latest features will inspire you to take the leap. Apple originally pulled the 6.0 update after many users complained about lost functionality and content. A fixed version of the update was available on September 23, and the new features are reported to be working fine. A major portion of the new Apple TV update involves porting over cool features from the new iOS 7 update. The most popular app in this update will probably the new Pandora-like iTunes Radio, allowing Apple TV users to stream music over the Internet through their TV. Additionally, AirPlay from iCloud allows that same television to play a user’s purchased iTunes content. iCloud lets consumers use their Apple TV to view their own media content (photos and videos) stored on Apple’s consumer-level Cloud storage. Most of the functionality in this latest Apple TV update mimics features Google added to its Chromecast device. Apple has hinted at a new hardware box for its TV service, and some pundits believed that new device would be announced in late September with iOS 7. It looks like Apple fans will have to wait a bit longer. Those of you still deciding whether or not to try out Apple TV would be interested in a late August 2013 update, which added a variety of new apps to the service, including Vevo Music Video, Vevo TV, the Weather Channel, and the Smithsonian Channel. Families will appreciate the addition of the Disney Channel and Disney XD. These recent updates put Apple TV more on a level playing field with other video streaming devices, such as Roku or Google Chromecast. If you already have an investment in an iPhone, iPad, and/or a Mac, the additional integrated functionality of AirPlay and iCloud makes Apple TV a compelling choice.